The first round of the 2019 Sexarathon was staged last night (17/04/2018) by Telford AC with the Lilleshall 5 miles. This series goes from strength to strength and the host club must be delighted that the 2019 series has already sold out. Tom Bains won the race with a fine 26m 20s chased home in 2nd spot by Rich Carpenter in 26m 28s. Tom Holden was 7th (27m 33s) and Steve Brookes made the top 10 in 10th (27m 40s). Young Tom Bentley was an excellent 19th nudging under 29m with 28m 56s. Loz Heathcock was 47th (31m 36s) and Amy Hadley 54th (31m 59s). Stuart Whitehouse was 91st (34m 31s); Claire Hotchkiss 123rd (36m 18s) with Richard Field rounding off the ten in the Harriers contingent in 135th (36m 56s). The first round took place at Wolverhampton on Sunday 14/04/2019. Six from Tipton headed to Fordhouses for their Friday Five Km road race on 12/04/2019. Phil Wilson was first back with a return of 15m 40s for 2nd spot. Seventh say Adam Soley with 16m 33s; Adam Guy was next in for the club with 9th and 17m 04s. In 33rd was Stuart Whitehouse with 20m 09s closely followed by Becky Turton in 20m 21s. Sophie Brookes completed the Tipton contingent in 77th spot with 23m 54s. Mark Killeen was our first runner home at Droitwich today in 14th spot with 1h 23m 26s. Loz Heathcock was next home in 30th with 1h 27m 31s. These are the only two results we have picked up so far. If you do not have a scanner then please get in touch and we will try and work out a way of bringing your heritage to the Tipton Harriers family. "The National 12 Stage Road Relay was held at Sutton Park last Saturday (06/04/2019) in warm weather, with a cool breeze on sections of the course, that tested the runners over the undulating roads. The couse was over 12 legs, 6 long of 5.38 miles and 6 short over 3.17 miles. 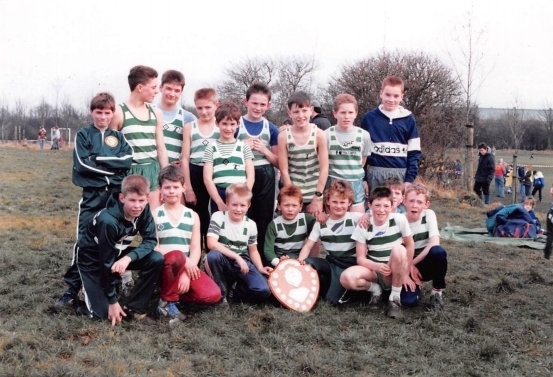 Tipton Harriers last winning performance was in 2012. It takes a team of talented runners to achieve this result. Leeds AC had such a team to win the relay this year. Tipton Harriers finished 21st out of 65 teams, that had qualified through the regional events in England, Wales and Scotland, from Southampton to Gateshead and Morpeth, to Cardiff and Glasgow. Tipton's B team were in 60th place. The leading team changed throughout the race, with the strong Leeds AC team eventually coming to the front on Stage 8 to stay there to the finish, after challenges from Bristol and West AC in second place with a late move on Stage 9, and Aldershot, Farnham and District just 6 seconds behind, third, after moving into 4th place on Stage 7. Cardiff AC were leading until the 7th Stage but faded on the later stages to finish 18th. Tipton's Peter Brookes started the relay on a stage that includes fast runners to give clubs a good start on a long leg. The pace was a bit too hot for Peter but ran to his present form after injury, to hand over 33rd timing 27m 58s for the long stage, to Nick Hardy, who ran well to pick up 4 places on the short leg in 16m 41s. He was followed by Tom Bains in good challenging form to gain a place to 28th, in 27m 47s. Tom Holden's 16m 48s kept his position before Joe Smith on the long Stage 5 ruinning strongly pulled up to 23rd, 28m 22s, and Philip Wilson retained this position with a determined run, 16m 29s short leg. Richard Carpenter tackled the long leg and ran well to maintain his 23rd position in 28m 22s, on Stage 7. Adam Soley, returning to form picked up a place to 22nd in 16m 50s, then Martin Williams ran the long 9th, a key stage, in 28m 27s to bring Tipton into their best placing of 21st. Luke Vine kept 21st place returning to improved performances after a long absence, 17m 18s for the short 10th. The 11th long stage was run by Ian Williams in a comfortable position with a 28m 56s timing to hand over to Stephen Corbishley who gained ground on Cheltenham, but ended the relay in 21st position holding off Blackburn Harriers by a comfortable margin, with a time of 16m 55s, and a total team time of 4h 31m 17s. Leeds AC won in 4h 12m 21s, second, Bristol & West AC 4h 14m 33s, third Aldershot, Farnham & District 4h 14m 39s. 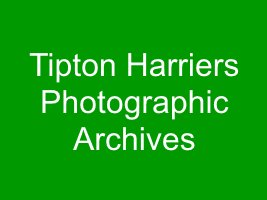 Tipton were in front of such teams as Morpeth Harriers, Rotherham Harriers,South London Harriers, Sale Harriers, and Coventry Godiva Harriers, among others. A weakened Tipton B team - Tipton had 2 teams to qualify - were 60th, but 5th B team. 68 teams started. Best runs for the B team included Dean Bate on long leg 3 making up 6 places in 29m 27s followed by James Booker leg 4 17m 50s, short stage up 3 to 52nd, Thomas Brown on leg 6 up 3 places,to 53rd, and Aaron Brown followed on leg 7 gaining 4, 30m 45s, to 49th the team's best position, finished 60th in 5h 12m 26s. Tipton's Women's team finished 30th in the 6 Stage National Relay with 2 long and 4 short stages, in a time of 2h 37m 18s. 48 teams finished Larna Partridge ran a steady opening long stage, 36m 22s, and Susannah Davies gained 2 places on the short stage, 20m 28s, followed by a good performance by Catherine Holden improving 7 places on short leg in 20m 43s, Bethany Walker had a hard long stage dropping 4 places to 35th, 38m 21s, Rebecca Turton ran a fast short stage for the team 21m 13s to move up 2 places. and Sallyanne Walker finished the race with the fastest short stage for the team, a good run to move up to a final position of 30th. It was very pleasing to see several older club members supporting the teams, including Johnny Severn, Mel Evans, Ray Williams, Bud Baldaro, Mike Hagar, Steve Walton, and Chris Holloway, all involved in the club's successes over the years of the relays, but also joining in the 1 minute tribute by the ERRA and those present to Ron Bentley, to celebrate his contribution to the event, by adding so much in the past by his enthusiasm, vocal support for the Tipton Harriers teams, as well as rival clubs and team managers, so there was a great spirit generated, and life was added on the day, when the relay was turned into a happy, friendly and exciting occasion." Those who attended the event on Saturday honoured Ron Bentley from our club and Mike Doyle, a Midland Timekeeper, who had both passed away recently. Before the relay events started the athletes, officials and supporters all heard a brief tribute to the two men by Graham Heeley (Sparkhill Harriers). There then followed a minute of clapping from all those present to celebrate their lives and contributions to the world of Midland & National athletics. A number of Tipton Harriers from earlier generations were in attendance including John Severn, Steve Walton, Ray Williams, Tony Phillips, Tony Milovsorov, Paul Allen, Mike Hager & Kevin Lamb. 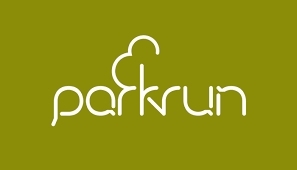 Here are links to the National Women's 6 Stage, Men's 12 Stage & YA 5Km Championships held at Sutton Park on 06/04/2019. Two from the club were out at Manchester in the marathon staged on Sunday 7th April 2019. Dean Bate was home in 3h 13m 34s and John Stroulger was around in 4h 23m 03s. Gary Whitehouse was going Dutch at the weekend In Rotterdam (07/04/2019) at the first of the major Spring marathons. He ran 2h 51m 39s. Following the success of the 2018 Club Forum, England Athletics and the Staffordshire Athletics Network would like to invite club members, coaches, runners, athletes, officials and volunteers to a repeat event for 2019. The event will take place on Thursday 16 May 2019, 7pm at Stafford Cricket & Hockey Club. We are lucky to be joined by England Athletics CEO, Chris Jones again this year, so please come along and hear about some of the successes we’ve had in Staffordshire over the last 12 months, help us shape a programme of activity for 2019 that will benefit your club and its members, and spend some time networking with England Athletics staff, councillors and club colleagues. "The road relay season began a week last Saturday at Sutton Park and ends next Saturday with the National Road Relay at Sutton Park. The road relay season was not always so limited. In the past there was a full programme of relays that followed the National Cross Country Championships. Road relays were held at Leicester, Harborne, Warwickshire, Tipton, Wolverhampton, Rugby, with Swindon included on a spare Saturday. The London to Brighton Relay was held during this season, and the road relay programme finished with the Manchester to Blackpool Road Relay for the leading Midland and Northern clubs; it was an exciting end to the season. The country's best middle and distance runners ran in the relays, and they followed with top performances on the track or marathon. The relays provided first class competition, and were very competitive. Traffic problems ended all of the relays in the 1960's and '70's . The Midland Road Relay was started in the late 1960's by David Denton the Midland Secretary and a Tipton Harrier, the first being held Lilleshall in 1968, Wordsley in 1969, before moving to Sutton Park in 1970. The London to Brighton Relay ended in 1966 and events were held in Leicestershire 1967 - 69, before moving to Sutton Park as the National Road Relay in 1970. Since then Tipton Harriers have been the most successful club, winning on 15 occasions, the last being in 2012. The 2019 Midland Road Relay was held at Sutton Park two weeks ago when they finished 5th, and with the possibility of additional runners being available, though Sean Byrne has retuned to army duties, Tipton should offer a stronger performance and could be among the upper section of teams at the finish in the National. The Midland Road Relay was held at Sutton Park in ideal conditions with sunshine and a cool breeze across exposed parts of the course. 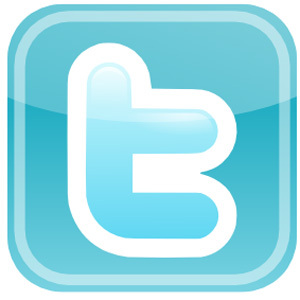 It was run over 12 stages with the 4 long legs of 5.38 miles at the beginning and 8 short legs of 3.17 miles to follow. There is some conflicting views on this sequence of stages as well as the number of each distance. 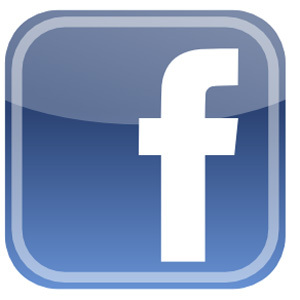 Views should be communicated to the Midland Counties AA through the club representative. Tipton Harriers finished 5th in a creditable performance, following Bristol and West AC the winners in 3h 55m 33s, Birchfield second in 3h 55m 46s, Notts AC third 3h 57m 18s. Fourth were Cheltenham and County (4h 02m 14s) and fifth Tipton Harriers (4h 04m 33s) and sixth Coventry Godiva Harriers (4h 12m 31s). After the first stage Notts AC dominated the race until stage 10 when the lead passed to Bristol, with Birchfield third. Cheltenham were in fourth position most of the race with Tipton following in fifth place from long stage 1 in which they remained, after Peter Brookes was below his best after injury and was 11th at the end of stage 1 Tom Bains ran a good long stage 27m 38s to bring Tipton up to 5th place, where they remained until the final stage. Joe Smith 28m 21s and Jonathon Carter 28m 08s completed the long stages with solid runs. The eight short stage runners ran consistently in 5th place, Harvey Maguire 16m 49s, Richard Carpenter 16m 14s - a good run as did Sean Byrne 16m 12s, Karl Welbourn 16m 31s, Adam Soley 16m 48s, Martin Williams 16m 31s, Philip Wilson 16m 24s, improving again after a layoff, with Tom Holden 17m 02s completing the final leg comfortably well ahead of Coventry. The 'B' team competed well to finish 14th 4h 28m 32s, and third of the 'B' teams, with 56 teams completing the race. Ben Gamble started off the B team, and after a break, ran a solid race to give the team a good start in 19th place in 28m 32s. Steve Corbishley gained three places 29m 23s, Adam Guy gained another three places in 30m 52s, the highest the team achieved in 12th place, that Luke Vine maintained with a promising run that was the fastest of the short legs for the B team, 17m 36s, Thomas Brown 18.16 lost one place that Gareth Maguire regained, 17m 54s, Zabie Hassan with a steady run dropped two places, 19m 41s, Phil Clamp 18m 21s good effort but dropped one place that James Booker regained 18m 06s, Dean Hill moved up a place to 13th with a determined run, 18m 25s, and Tom Acha after a steady run, 21m 33s, completed the course in 14th position, and team time 4h 28m 32s. The 'C' team were 47th 5h 12m 57s, the best runs were from Stephen Pearson on leg 7, 18m 35s and Nick Hardy 16m 51s on leg 11 gaining 3 places. A good club turnout with some solid performances. We look forward to improved performances in the National next Saturday." The two Karl's were running up that hill in Shropshire on Sunday (31/03/2019) where they placed 42nd (Fletcher) and 44th (Lewis). Well done lads.